With no dealer and little overhead, video poker is already a money maker for casinos. The fast-paced action of Jacks or Better or Deuces Wild keeps players gambling at a quick clip as well. That might be why video poker has some of the best returns, carrying a slim 0.46 percent house advantage – some of the lowest odds on the entire casino floor. Some poker players may turn their nose up at the video version, but not the ones looking for the best shot at hitting it big. This methodical poker variations of the popular Chinese game forces players to make two poker hands to play against the deal. Players or the dealer must win both hands in order to payout or collect, otherwise the game is ruled a push. Pai Gow poker comes with a 1.46 percent house edge, which is lower than most poker options. It can be a slower-paced game but if you’re playing in a brick-and-mortar spot, it’s a great way to load up on free drinks before hitting the town. This whacky version of stud poker has players doubling their ante if they want in and throwing down additional chips for a progressive jackpot. The dealer must have a five-card hand of Ace/King, or a poker hand of a pair or higher to continue, which can also make it a bit plodding at times. 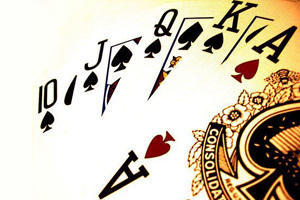 Payouts are connected to how good a poker hand you pull, so a flush or full house can pay upwards of 5-to-1 and 7-to-1, with a Royal Flush cashing in at 100-to-1 odds. But with all those bells and whistles, Caribbean Stud carries a house advantage of 5.22 percent. Much like Caribbean Stud, it’s the players hand against the dealer’s. As the name would suggest, players and the dealer are dealt three cards each and must make the best poker hand out of those limited options. The dealer must have a hand of Queen or higher for there to be action. And like Caribbean Stud, there are added bonus in Three-Card Poker, like the Pair Plus bonus – paying extra for a pair – and some casinos offer an ante bonus which has a graded pay scale for tougher hands like straight, straight flush, and three of a kinds. Three-Card Poker, however, comes with a price, with casinos holding a beefy 7.28% percent advantage.